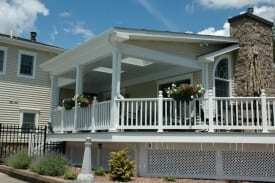 Porches are traditionally on the front of a home and can vary significantly in design and build. 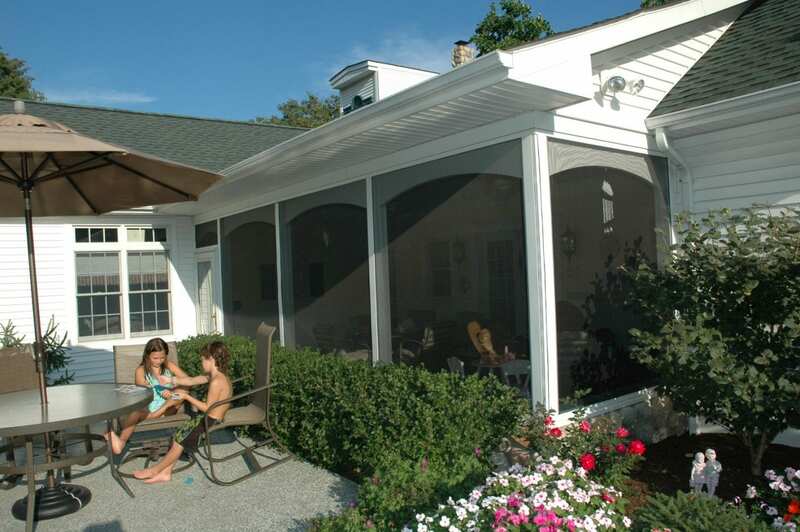 A more traditional design would encompass a seating area with large white pillars and a roof. 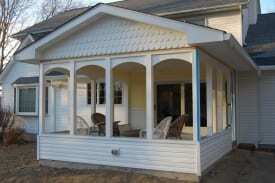 A screen porch is another popular design for your front porch. When it comes to building a porch, your tastes, as well as the style of your home should be taken into consideration when considering porch designs and/or screen porch designs. 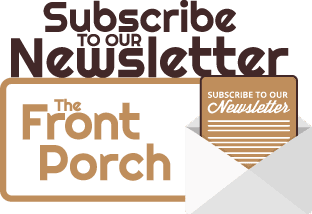 Aesthetic appeal and cohesiveness is particularly important when building a front porch, because this is the first thing that will be seen on your home. 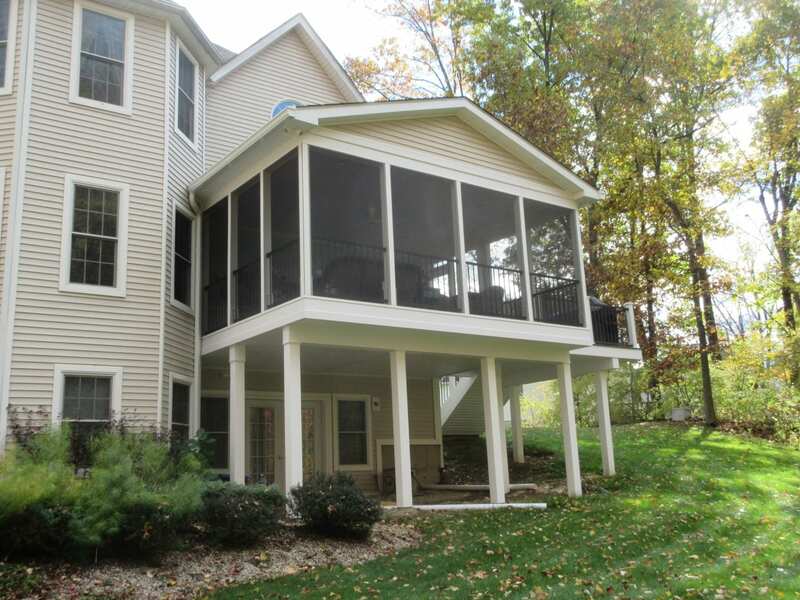 When building a screened in porch, removable screen porch panels are often desirable, so that the screens can be taken out. If you are interested in having screen porch windows installed instead, your porch can then be turned into a four seasons room. 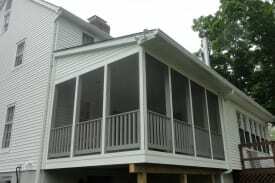 There are many screen porch ideas available to you including material options like an aluminum screen porch, or composite decking. 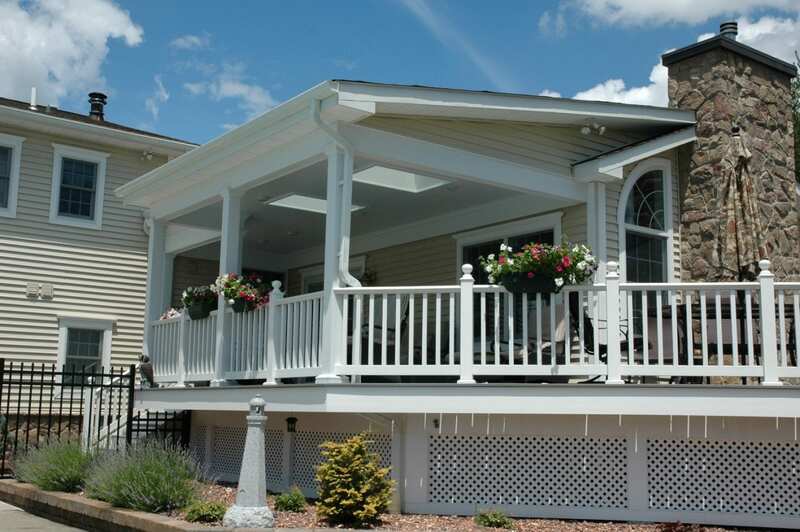 Your screen porch addition can help enhance the appeal of the front of your home, increasing resale value and helping your home stand out! 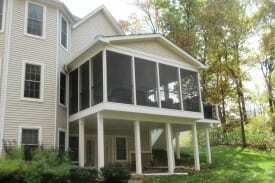 An enclosed screen porch also creates additional living and entertaining space. 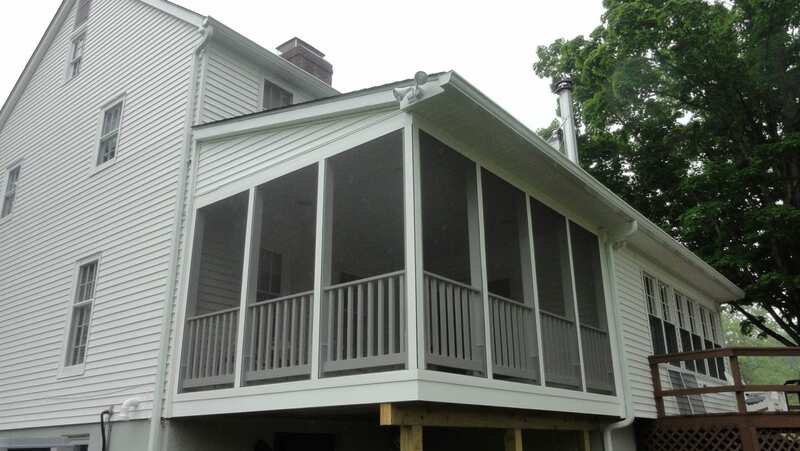 If you are interested in a screen porch installation, DBS Remodel can help design the perfect screen porch plans for your unique home! 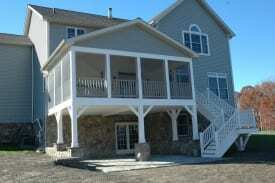 You can find pictures of our porch work here!